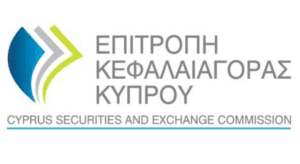 The Cyprus Securities and Exchange Commission (‘CySEC’) announces that, on its meeting of 22nd October 2018, decided to wholly withdraw the Cyprus Investment Firm authorisation of PFX Financial Professionals Ltd. The company operates the brands FXFINPRO Capital and FINPROINVEST. The main reason for the license withdrawal is the Company’s non-compliance. The company was flagged for non-compliance as it failed to comply at all times with the authorisation and operating conditions provided for persons who effectively direct the business of a CIF and organizational requirements. It also failed to comply with the conduction of business obligations when providing investment services to clients; submission of CIF financial accounts; submission of information to CySEC which are correct, complete and accurate. Due to the whole withdrawal of the Company’s authorisation, the Company should ensure it does not provide investment and ancillary services. Immediately and without delay, ensure that all references in its websites and anywhere else, relating to the provision/carrying out of investment services/activities, as well as references to its licensing and regulation by the CySEC, are deleted. Return all funds and financial instruments which belong to/are attributable to its clients, including any profits. Examine and resolve all clients’ complaints/reports filed against the CIF. One of the company’s brands, FXFINPRO Capital, has already removed from its website any references regarding authorization and supervision of the company by CySEC. The broker will be given three months to settle its obligations, while it will still be under the CySEC’s supervision. You can read more about this regulator here.